Many of the older web sites had pages of links to other sites, often these are not maintained so the links no longer work. Our directory is generated from our extensive database of facts about China and so can be maintained much more easily. If you spot a web site you think we should add to the list please let us know. We last checked all these web sites in March 2018. In the first section are reference web sites with background information about China, the second set are web logs (blogs) which are full of personal experiences and opinions about China. We make extensive use of books for the information on this web site. For detailed reviews of these books, see our book review section. This web site concentrates on military intelligence but has surprisingly good sections on the government and history of China. A good online guide to the Chinese Mandarin language. Each character includes the origin of characters, how to write them and how to pronounce them. Wikipedia has a huge amount of content, far more than we could ever cover here. However the quality is mixed, some pages are excellent and some not so good and more importantly they are not carefully cross-linked and categorized. Generally they have grown too big and comprehensive rather than closely focused. We use hundreds of links into Wikipedia to give the background to people, places and traditions. A useful language tool to look and learn the characters, but the main dictionary is all in Chinese. There are various other interesting bits and pieces about the language including proverbs. A commendable project to publish the ancient Chinese classics together with modern translations. It focuses particularly on Confucian and Daoist thought. The web site has a good online character lookup dictionary. The web site design is however rather archaic with no graphics. Contains a useful tool for converting characters to/from pinyin, wade-giles and yale. Has some nice tools for learning chinese, a calendar and some on zodiac years. This university web site has a number of web pages covering a wide range of topics of mixed age and quality. It has a dictionary and examples of art and calligraphy as well as some Chinese lessons. Wikitravel is a community effort where visitors have left information about places they have visited. Coverage is very patchy, there is some useful general information hidden away. There are sections on regions and all large cities. Offers detailed information on most sites of interest to tourists. Also offers specialist tours to China. A large web resource with many pages about Chinese culture including archaeology; festivals; history and an introduction to the language. Covers traditions; religion; legends and customs in some detail. Not much on provinces or history. This site covers cultural events and art exhibitions in China with many pages of background material. A very large selection of Chinese proverbs with excellent background on customs. Each idiom features not just a translation but also a description of its origin and history as well as when the proverb should be used. The BBC has an extensive coverage of news from China, it also has a separate sub-site with the news in Chinese ➚. An extensive set of podcasts (from ten minutes to an hour) covering all sorts of China related topics. Laszlo Montgomery speaks excellent mandarin and presents each topic clearly and with enthusiasm. There are some proverbs (Chengyu) that are shorter. All topics are researched in depth. An official Chinese television that produce a wide range of documentaries about Chinese history and traditions in English and Chinese. A new, modern web site full of news and cultural traditions. Also news of events. Based in UK and France. As well as information sites giving reference information, it is interesting to read the blogs of people with personal experiences of China. As these are personal views expounding a range of opinions, we must add that including the site does not imply we agree with the content. These web sites give a glimpse of China in the here and now. A personal blog about living in China observing all the ups and downs of moving to China including learning the language and getting to grips with the culture at first hand. The Beijinger has a lot of individuals all posting observations about modern living in Beijing. Many reflect on life as it happens in China's busy capital with comparisons to ancient traditions and culture. News stories about current affairs in China with an emphasis on government policies and initiatives. Personal views of living and traveling in China, Jocelyn also shares her experience of love of a native Chinese and the problems of dating Chinese men. Many stories of the unusual and unexpected in modern day China. Often these link back to history and tradition. If you have ever wondered where to find 'Shangrila' the fabled place of peace and tranquility then you need to go to Yunnan province. 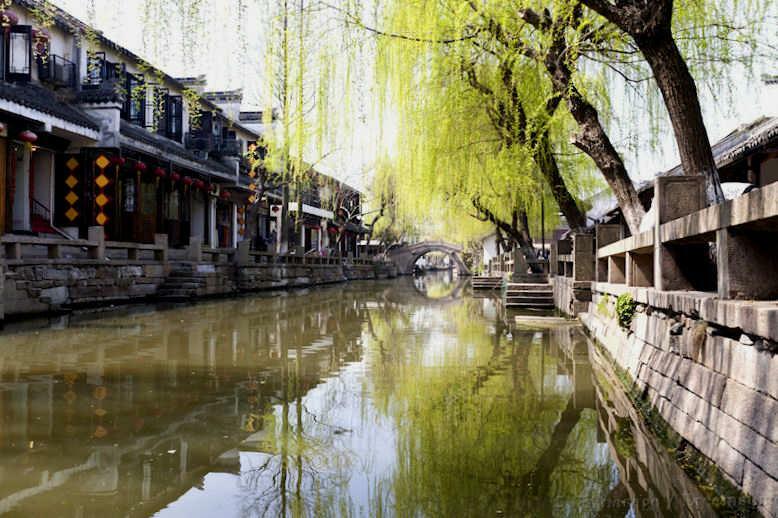 A Chinese town lays claim to be the genuine location and so Zhongdian has been renamed as Shangrila. However the most likely location is further up in the mountains, near the Buddhist holy mountain of Kawagarbo. 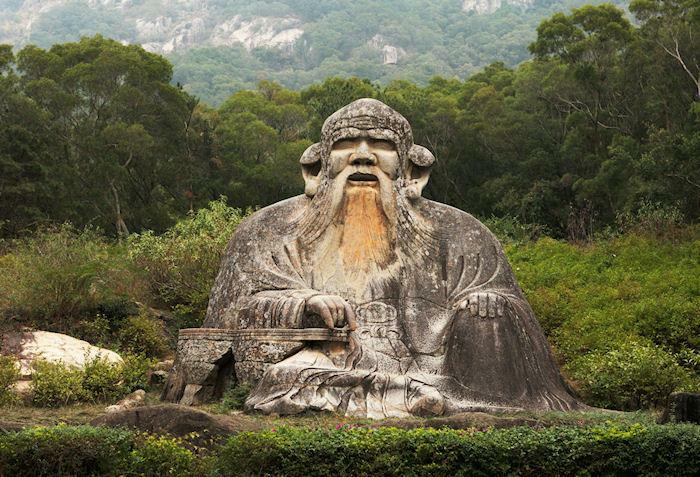 Statue of Lao Tzu (Laozi) in Quanzhou, Fujian. Image by Tom@HK available under a Creative Commons license ➚. Citation information for this page : Chinasage, 'Directory of web sites about China', , Web, http://www.chinasage.info/sitedirectory.htm.